The Domestic Relations Division hears all cases related to the family, including divorce, dissolution, custody, child support and civil protection orders. Most of these cases are assigned by Judge Padden to the Magistrate. 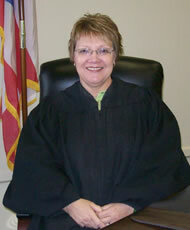 Magistrate Marcia A. Hollins has been with the Common Pleas Court of Guernsey County since 2002. She previously served as the Assistant Law Director of Cambridge, Ohio, and was in private practice. She is a graduate of Ohio University and received a Juris Doctorate from Capital University School of Law. For information regarding any cases filed in the domestic division, you can contact the assignment commissioners below. You must be a resident of the State of Ohio for 6 months and of Guernsey County for at least 90 days immediately preceding the filing of a complaint for divorce or a petition for dissolution. Due to the complex nature of most divorces/dissolutions and the rules of procedure that must be followed, it is strongly recommended that you seek counsel with a licensed attorney. Mediation is available to the parties of a domestic case at a reasonable cost through local attorneys and Haven of Hope, upon motion to the court. You and the other party would meet with the Mediator who is trained to facilitate your discussion and assist you in arriving at an agreement. If you do not have a case pending and want to try mediation to avoid filing a case, you may contact the assignment commissioner for a list of trained mediators. A guardian ad litem is an individual appointed to assist the Court in its determination of a child’s best interest. The cost is assessed to the parties. The court uses persons who are certified under Supreme Court Rule 48. The Court’s Guardian Ad Litem Coordinator can be contacted at the number below. There are two types of protection orders: Domestic violence Protection Orders and Civil Stalking Protection Orders. A party must file a petition for a protection order. The Petition is reviewed the day of filing and an ex parte order may issue. A full hearing is scheduled at a later date. The forms for filing and the order are mandated by the Supreme Court of Ohio and must be used to file a petition. Before filing, the Petitioner should consult with a victim’s advocate from the Haven of Hope. These advocates are trained and certified and can assist you in filling out the petition and come with you to court.